Don't touch the Cuban Adjustment Act but broaden The Magnitsky Act to include China, Cuba, North Korea and Vietnam. This weekend marks the 25th anniversary of the tearing down of the Berlin Wall and of the year that international communism made its dramatic withdrawal from Europe and two years later saw the peaceful dissolution of the Soviet Union on Christmas Day. It was the return of freedom to a great part of Europe. However it is also the 25th anniversary of the Tiananmen Massacre where American officials and industry looked the other way and carried on business as usual following a massacre of thousands of Chinese students and workers who had taken a stand for freedom. The price of that treachery is all around us to see today. One place where nothing seemed to have taken place was in Cuba. This raises an obvious question: Why not? There are numerous factors but one that is not often raised is the "Crab effect." 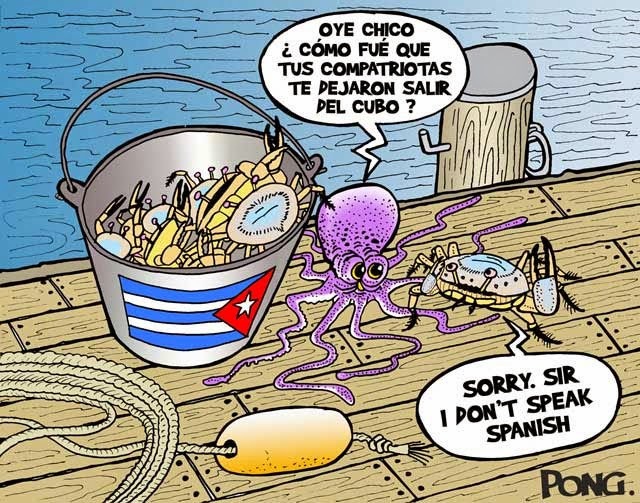 Friends of mine who had arrived from Cuba in the 1990s described Cubans as crabs in a bucket about to be cooked and eaten, but rather than collaborate to free themselves any time one of the crabs was about to escape the bucket the other crabs would drag the escaping crab down. For example, when Gustavo Arcos Bergnes, the Havana-based leader of the Cuban Committee for Human Rights, spoke out on behalf of dialogue and debate in Cuba and in the Miami exile community, Jorge Mas Canosa condemned him at a rally broadcast to Cuba over Radio Marti as a traitor. However, it was later made public that the CANF leader was engaged in back channel dialogues with the Castro dictatorship in 1992 with the socialist government of Spain acting as a mediator. 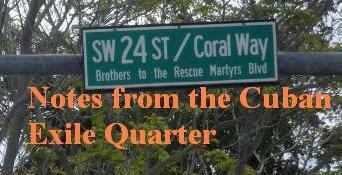 Today, there are voices calling for a reconsideration of the Cuban Adjustment Act (CAA). This is ironic because one of the long term goals of the Castro dictatorship is to get rid of CAA which sets Cuba apart from the rest of countries in the hemisphere. This is because Cuba is the only country in the hemisphere were its citizens do not have a right to enter and exit their own country freely but must rely on the permission of the dictatorship. A huge number of Cubans are still not allowed to return to their homeland. Instead of placing the Cuban Adjustment Act into play a better approach would be to push for legislation that bars Cuban human rights abusers from entering the United States. The bill would place visa bans and asset freezes on Cuban officials involved in human rights abuses and could be patterned after the Sergei Magnitsky Rule of Law Accountability Act that was passed in 2012 that targets Russia. In addition to Cuba the new bill could also include Belarus, China, North Korea, Venezuela, Vietnam, and Zimbabwe and be an opportunity for unity between freedom movements. It is true that Cuban intelligence seeks to penetrate and divide both the opposition in Cuba and in the diaspora but there is also a need for more solidarity and less envy within ranks of the opposition leadership. Furthermore instead of punishing Cubans who want to visit relatives, while they are still able to for the time being, one should pursue a policy that seeks to end the granting of visas to human rights violators in Cuba. There is a situation in which victims of persecution are denied Visas while their oppressors are quickly granted Visas to the United States and this has nothing do with the Cuban Adjustment Act. Its time to change and for the better. Barring rights violators from entering the United States while at the same time protecting the persecuted. Otherwise on the 50th anniversary of the end of the Berlin Wall we may still be asking why is Cuba still under a dictatorship?